Not giving thorough consideration as to how you’ll manage website content when multiple languages are involved is a particular blind spot to many businesses causing some nasty budget surprises - and hobble an international marketing initiative. Worse, many organizations (the larger are more guilty) will invest considerable sums of money in producing truly FABULOUS English content – and then hand it over to the localization team with little budget and no thought for its SEO value when achieving the SEO value is ultimately the goal of having great content in the first place…so YOUR customers and prospects can find you. If your goal is effective global sales, then doesn't it make sense to take the time and effort to localize your content marketing strategy for each country that you operate in? It’s a common misconception that companies have, "Well, we're only interested in English-speaking audiences, anyhow." This is their rationale for running duplicate content globally. If you're going through the time and expense of operating globally, shouldn't you give equal consideration to your Web presence? Too often, the website gets short-changed, and companies take the quickest and easiest path to operate internationally. That's a shortsighted approach to international sales development - after all, unique, compelling and authoritative content is central to your domestic content marketing strategy...why would it be different internationally? Or, often times due to the lack of budget, your content gets translated and posted without consideration of the content within the specific language set which can really be embarrassing. For more information on some of the language translation and marketing localization mistakes see our latest video which takes a humorous look at language errors. Latin American “Faux Pas”. And for all the best intentions...your international content marketing strategy is crippled. To truly be successful, plan and budget for the optimum strategy which is to build your English content with localization or translation in mind. In other words, the copywriter’s brief should be to create the content without in-jokes or cultural references that a translator will simply not be able to translate. And keep in mind that fresh copy writing in each new language will be significantly more expensive than using translation – although a good option is also to mix fresh copy writing on particular local subjects which warrant it and using localization for the rest. The ideal would be to work with an international marketing company which can localize and optimize your programs at one and the same time. Translating your site could be a simple method to greatly increase your target market. And because many of your competitor’s may not, it will help raise the search engine search positions. This may seem to be a difficult prospective at first, and it can take some time to get it correct. There are many websites that simply rely on machine translation from English content, which are a huge turn-off and frankly an insult to your target audience. With the proper content localization your web content and messaging will be perceived in a manner to which it was intended. Researching your own target marketplaces, picking your keywords carefully and also look at your competition can help make sure your website isn’t misplaced in translation. 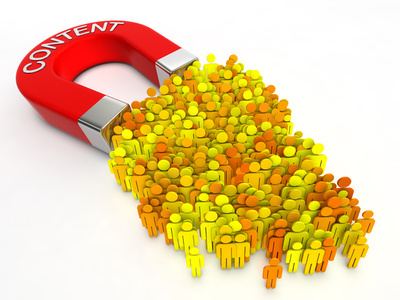 Content marketing works....but you need to do your part! Translation and localization aren't just for content! One common content error is that translations regarding keywords and phrases will continue to work just as well in some various different languages. For example most Italians often search for “voli low cost” regarding low-priced plane tickets, as opposed to the immediate translation. Although the typical France interpretation regarding “car insurance” is “l assurance automobile” typically the most used search terms is actually “auto assurance”. Don’t take shortcuts because it could actually cost the company untold amounts of money, in terms of lost opportunity. Take the time. Spend the money. Do it right and watch where it takes your business in the long run. Need help understanding the complexities of global SEO and website localization? Consilium Global Business Advisors has both extensive "theoretical" marketing localization experience from work with F1000 companies, but also real world "boots on the ground" business experience. Contact us to discuss your localization requirements. And check out our free whitepaper on international marketing below.